Despite the continuing rise of the internet as it takes over almost all methods of communication, there is still a need for most businesses to send and receive packages at one point or another. Email is used as the most convenient way for many workers to communicate with colleagues, clients and others, with telephones and mobiles allowing the quickest communication. From sending out promotional and marketing materials to sample products and hard copy documents, getting the best results when sending out parcels from a business is essential and requires doing that little extra when compared with sending personal packages. The cheapest method for sending out a parcel isn’t necessarily going to be the best. As with many other services, it is worth considering why one delivery method is cheaper than another and opting for whichever suits your company’s needs best. Using a secure, trusted parcel delivery service such as TNT ensures your package is in good hands with a reputable firm. If a fast delivery is needed then the larger delivery services often have more flexible delivery times as well. Especially when sending valuable items and important documents, using a service which allows the package to be tracked is extremely useful. This means you will be in a better position if it gets lost or damaged. 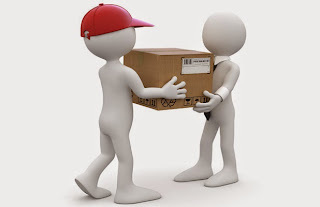 Many delivery firms offer services whereby certain parcels must be signed for. This is incredibly helpful as when a parcel is signed for it is widely regarded as proof of delivery, discounting any false “the package never came” complaints from clients and customers. When you have a large number of items to send out, specifically when they’re all to the same client and around the same time, it should work out cheaper to package them all together. Sending out parcels can soon add up in costs for your business so it is advisable to try and find the most cost effective method as possible, even if it’s only around Christmas your business sends any out. As well as tracking and choosing a secure delivery service, for any hard copy documents it is vital to have back-ups. Where possible it is always best to hand deliver the most important documents, especially originals. This is because items do still get lost in the post and sometimes are never recovered. However, using a trusted delivery service is usually the most timely and cost effective method.